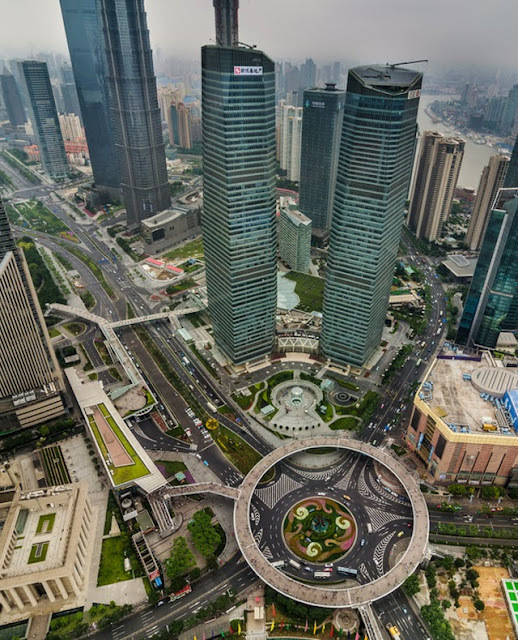 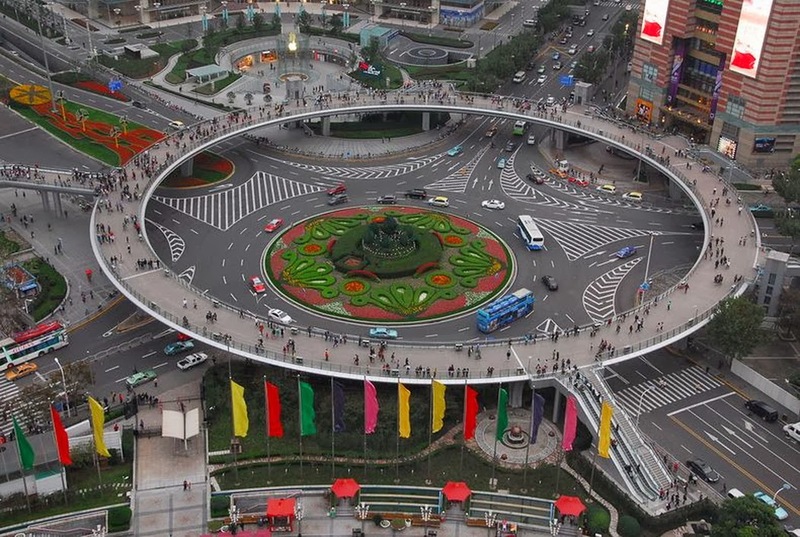 This large scale circular pedestrian overpass enables pedestrians to avoid traffic at the round-about terminus of Lujiazui Rd, China. 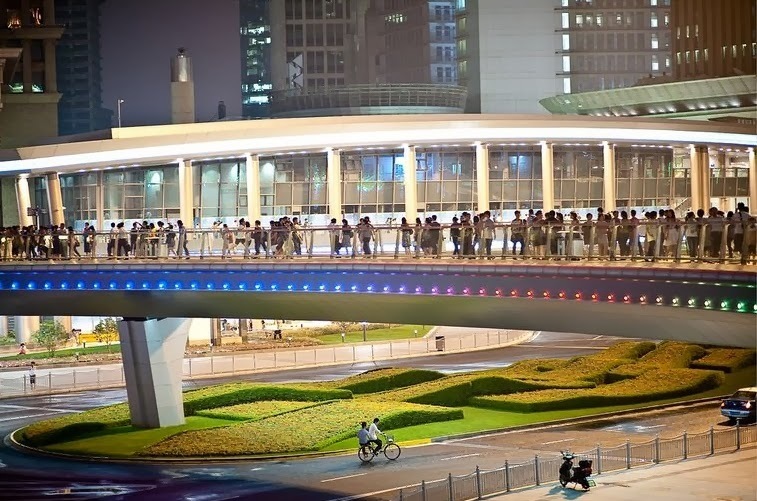 The bridge sits almost 20 feet above the street, with numerous escalator stairway entrances and exits.The walkaway is 5.5 meter high and can fit 15 people walking side by side. Since it’s opening, it has become quite a tourist attraction.